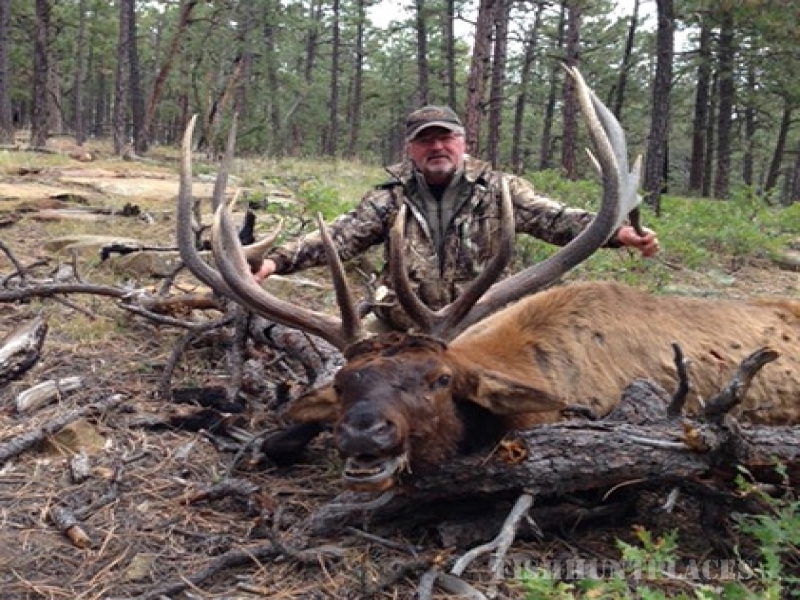 Just outside of Raton, New Mexico, Bar 5 Ranch is a host to 10,000 acres of prime hunting and is in the center of the historic two million-acre Maxwell Land Grant. It is encompassed by the nearly 600,000 acres known as Vermejo Park Ranch with no public access from any direction. With cooperation and guidance by the New Mexico Game and Fish department, existing wildlife habitats are being improved and new ones established in order to provide a suitable environment for the game to prosper and man to enjoy. 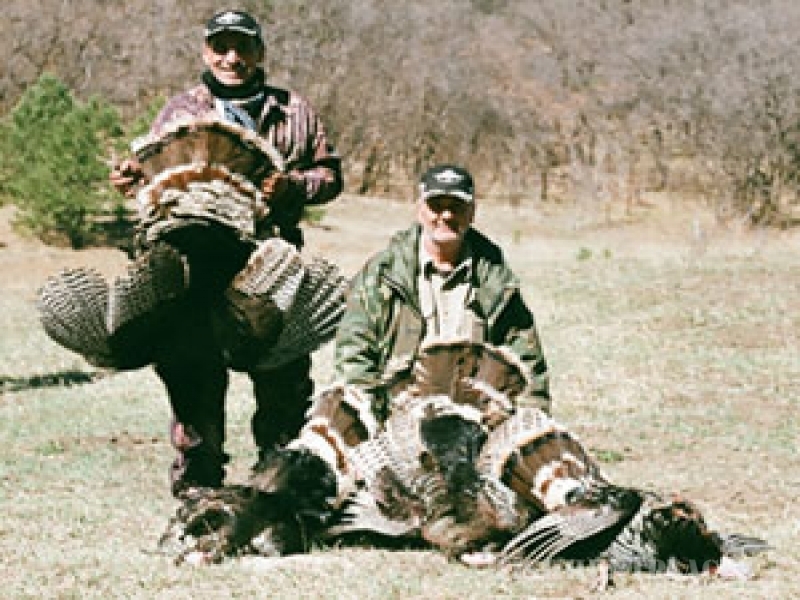 With less commercializing of the ranch, it is now a destination for world-class trophy hunts. The Ranch is home to a large resident elk herd shared with black bears, mule deer, mountain lions and turkeys, all trophy caliber. Elevation varies from a low of 7,570 ft. to a high of 8,062 ft. and branches out to mountains, gorges, and steep canyons. 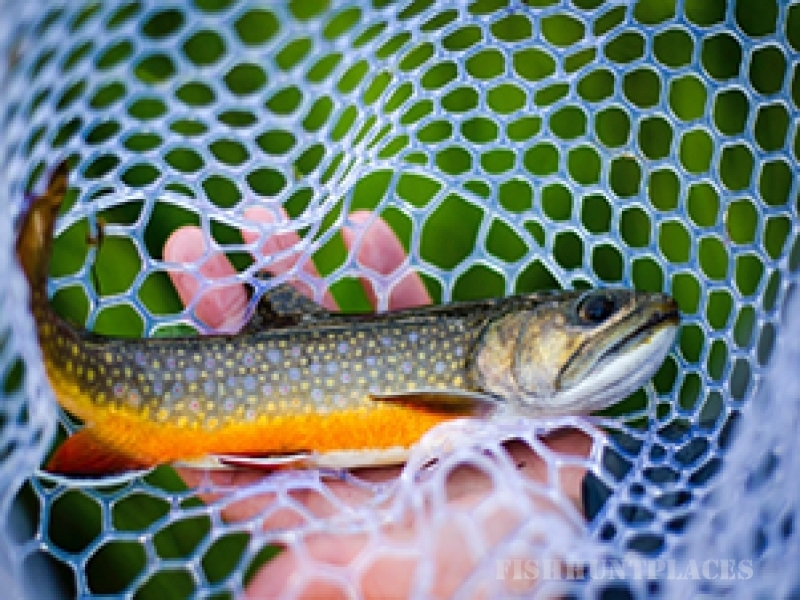 The Ranch boasts several lakes with a healthy population of rainbow trout, springs flowing through long meadows of lush green and pastures, all within a forest of ponderosa, douglas fir, blue spruce, oak, conifer and a surrounding band of aspens. 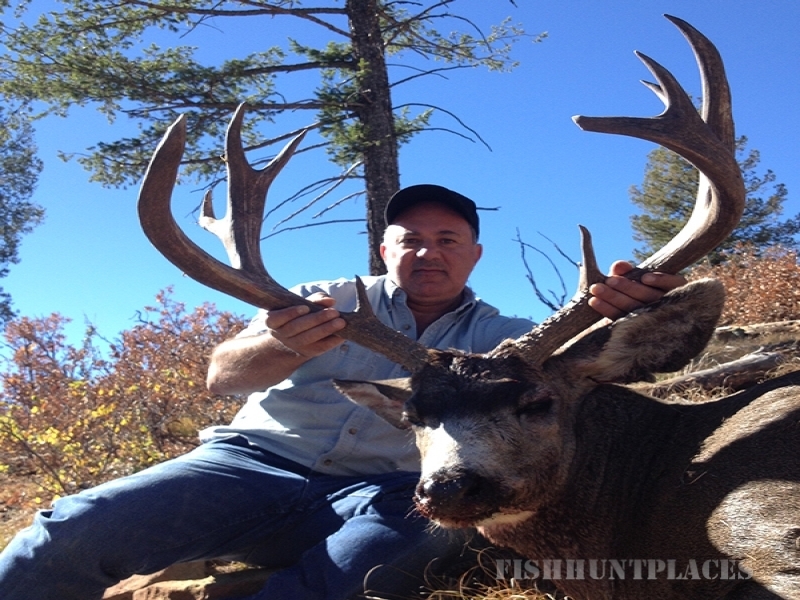 Bar 5 Ranch is a hunting paradise.